It’s the same free two-hour delivery window. With online giant Amazon having expanded into supermarkets, its loyalty perks program is following right behind. 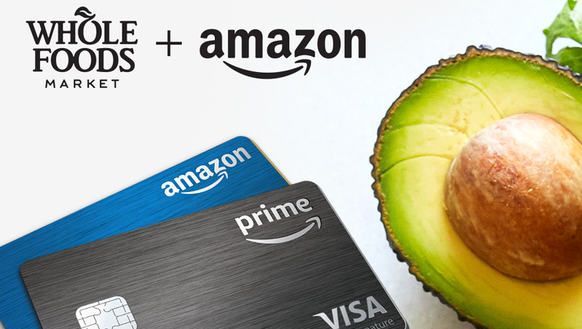 Amazon Prime members who use the Amazon Prime Rewards Visa credit card will now get 5% back when they use the card to shop at Whole Foods Market stores. 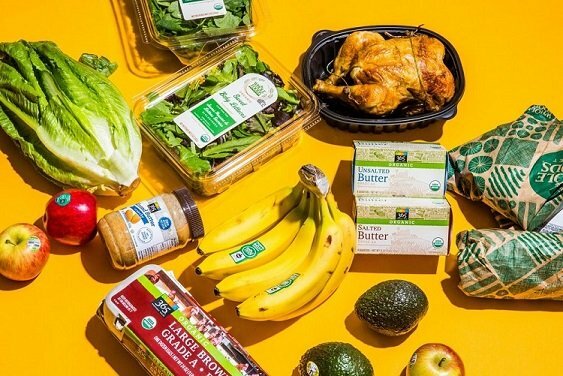 The new offer, announced Tuesday and available right away, provides another hint at the initiatives the online retailer will use to recruit new Amazon Prime members and how it hopes to turn Amazon loyalists into Whole Foods shoppers, and vice versa. Amazon acquired Whole Foods Market chain of high-end organic supermarkets or $13.7 billion in June. Two weeks ago, Amazon began offering free, two-hour delivery from Whole Foods stores in Austin, Cincinnati, Dallas and Virginia Beach, Va., to its Prime members. Amazon Prime is a $99-annual membership program that includes free shipping, streaming music and video, and photo storage. Members already get 5% back on any Amazon purchases when they use the Amazon Prime Rewards Visa card from Chase. They also get 2% back at restaurants, gas stations and drugstores, and 1% back on all other purchases made on the card. But this time a 5%-back deal has extended to purchases beyond Amazon.com. “We’ve seen incredible excitement and adoption around our Amazon Rewards Visa Credit Cards and are thrilled to partner with Amazon and Whole Foods Market to bring even more rewards to our joint cardmembers,” said Leslie Gillin, president of Chase Co-Brand Cards, in a statement. READ ALSO The 1-2 Punch to get more new Customers and more Repeat Purchases. Those who have the card, but who are not Prime members, will get 3% back on purchases at Whole Foods. “We are excited to launch the Amazon Rewards Visa Card in our stores, offering benefits to our customers on all of their purchases at Whole Foods Market,” said the chain’s co-founder and CEO, John Mackey.